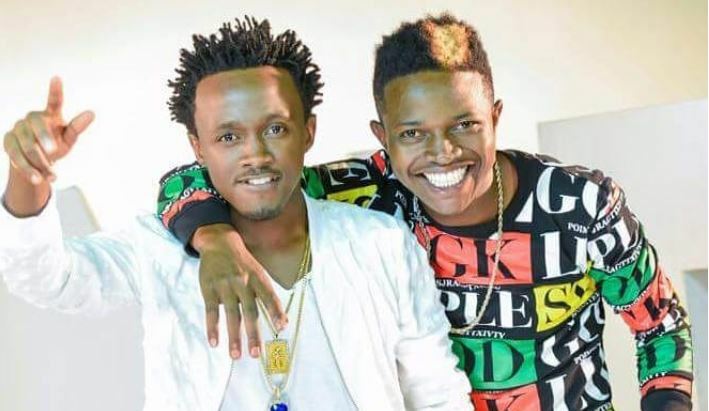 Controversial gospel singer Ringtone Apoko has made some sensational claims about why Mr Seed has fallen out with Bahati. 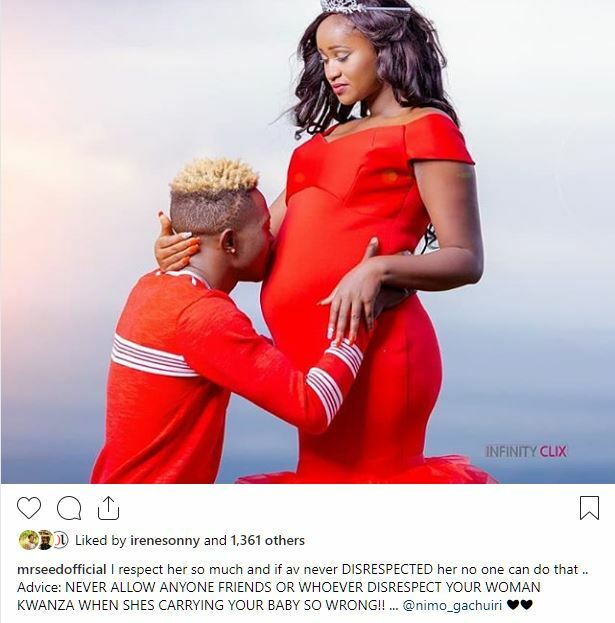 In a video shared on his Instagram, Ringtone says that he talked to Mr Seed who revealed to him that Bahati called the police on his pregnant girlfriend Nimo Gachuiri on New Year’s Eve. According to Ringtone, Nimo Gachuiri wanted to conduct some business during the NYE EMB Jesus Party at Thika Stadium but Bahati’s wife, Diana Marua, felt some typa way. Apparently, Bahati and a jealous Diana Marua called the cops on Nimo. Ringtone, however, noted that Mr Seed and Bahati are not disclosing the full story and they should speak up and tell the truth. “Hey guys leo nataka kuongelea hii beef ya Bahati na Mr. Seed. Kusema ukweli nilikuwa na Mr. Seed na aliniambia ati Bahati aliitia bibi yake askari kwa sababu ya show ya 31st yenye ilikuwa Thika Stadium. Na bibi ya Mr. Seed kuna biz alikuwa achape hapo alafu bibi ya Bahati akasikia wivu ndio wakamuitia maasakari. Kama ni hivyo by the way si poa. Mimi nataka tu kusema kuna kitu hamtuambii, Lakini mkituambia itakuwa poa, nimepiga number ya Bahati haingii nikipiga number ya Seed haingii,” says Ringtone in the short clip. Mr Seed also appeared to confirm Ringtone’s story as he took to his Instagram to share a cryptic post about Nimo being disrespected. 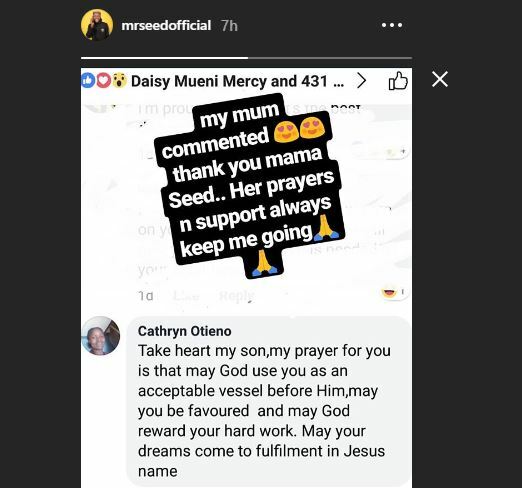 In his Instastories, Mr Seed also shared a screenshot of his mother’s comment encouraging him to take heart.